Located in the southwest suburb Lockport, IL. Best In Show provides an actual family oriented, quality service in a comfortable atmosphere. We are a non smoking shop that strives for a low stress and loving environment for your pet. By providing a tailored service for each pet that is in our care, Best In Show ensures that your pets needs are never neglected and that the quality of service provided far exceeds that of other competing commercial grooming shops. We stray from the formula of kenneling pets all day as they await their turn in line and instead focus on finishing each pet in a timely manner. 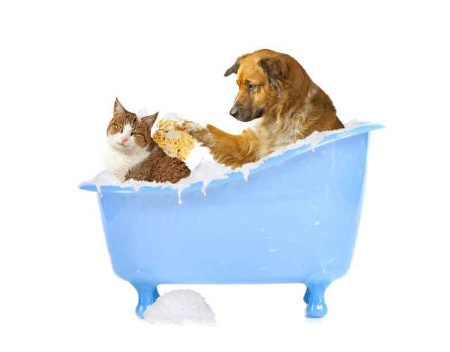 Every product we use is professional, natural, environmentally friendly and is intended for use on animals. We hope you enjoy browsing through our web site and find our information useful for you and your pet. If you have any questions, suggestions or comments please feel free to email us and we will get back to you with any answers promptly. We would be pleased to post any of your facts, advice or information on our web site to share with other viewers.